Presented by Sangeet Premi Club and EthnoSuperLounge, Sangeet Mela 2014 brings together talented international and interstate musicians in collaboration with the best of Brisbane’s North Indian classical artists in a celebration of Hindustani classical music and dance on a scale never before seen in Brisbane. 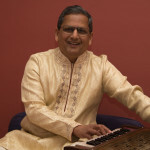 Dr Vivek Apte (vocal) from 230pm. 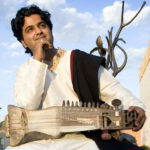 Sri Sangeet Mishra (sarangi) from 815pm. 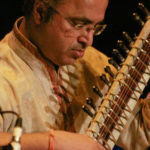 The inaugural Sangeet Mela will feature two international artists: Govinda Chakraborty (Delhi) recently retired as professor of tabla at Kathak Kendra (the national Kathak dance college); Sangeet Mishra (Mumbai) represents the 8th generation of sarangi masters in his highly respected family. 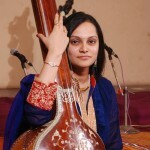 Both artists will be enriching the festival with their able accompaniment and dynamic solo performances. 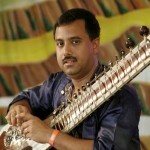 Visiting from Sydney will be accomplished classical vocalist Dr Vivek Apte. 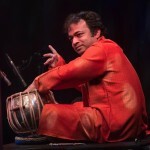 Tabla master Maharshi Raval and Odissi dancer Lillian Warrum complete the roster of artists visiting Brisbane for the festival, joining local artists including Rahim Zullah (vocal), Saikat Bhattacharya (sitar), Darshana Hingu (Kathak dance) and Shen Flindell (tabla). Sangeet Premi Club are proud to announce the 2014 winners of the Sangeet Premi Rising Star Awards: Vocal – Senjuti Maitra, Kathak dance – Helena Joshi, Tabla – Arka Tito Basu, Sitar – Anjuha Ketheeswaran. Other highlights include Kathak dance with live musical accompaniment, and delicious food and drinks by Sitar Restaurant. Sangeet Mela 2014 and the Sangeet Premi Rising Star Awards are made possible through the generous support of major sponsors Brisbane Indian Times, venue hosts BEMAC and additional sponsors Sitar Restaurant, Spirited Events and Target Tours and Travels. A Queensland Cultural Diversity Week event proudly brought to you by the Queensland Government. Download PDF of the souvenir programme booklet here. Printed version will be available on the day. 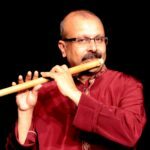 As part of Sangeet Mela’s mission to foster Indian classical culture in Brisbane, four young artists will be given the opportunity to perform at the festival and will receive a “Sangeet Premi Rising Star Award”. Each year one award may be given in each of four categories: Vocal, Instrumental, Percussion and Dance. Four awards – Vocal, Instrumental, Percussion, Dance. 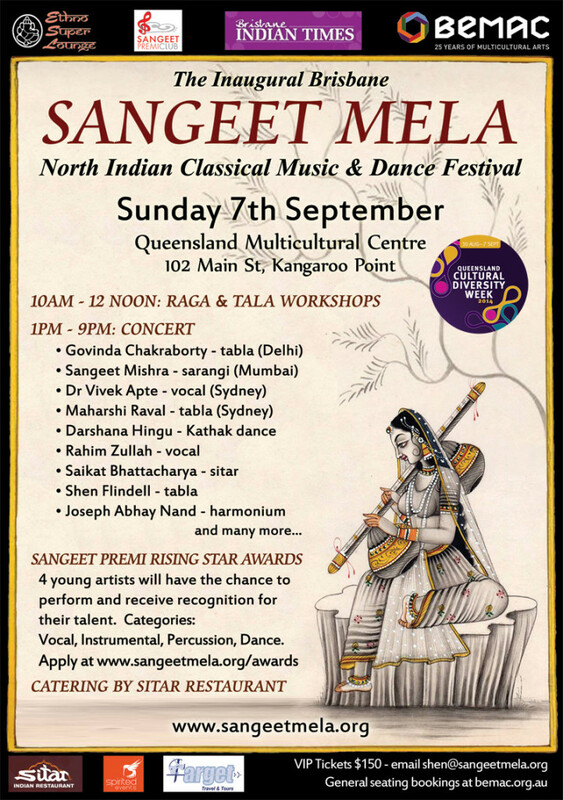 Winners must be available to present 20 minutes performance at Brisbane Sangeet Mela on Sunday 7th September at QLD Multicultural Centre, Kangaroo Point. Open to applicants born after 7th September 1989 (under 25 years old on the date of Brisbane Sangeet Mela). Judging committee may not give an award if quality of applications is deemed insufficient. In this case, an additional award might be granted in another category. Compulsory support material – video file of applicant’s example performance. NEW: Applicants who are having difficulty completing their applications in time due to observance of Ramadan should still submit the application form by the deadline of Friday 25th July with a cover note explaining that the video component will be submitted later. Deadline for video in this case is Monday 4th August. 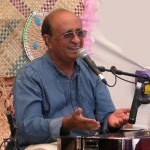 Percussion – tabla or pakhawaj lehera accompanied by naghma. 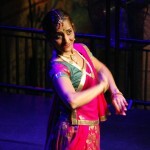 Dance – Classical Kathak or Odissi performance. May use live accompaniment or CD, but preparation of live accompaniment will be viewed favourably. 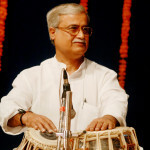 Sri Govinda Chakraborty (tabla – Delhi) and Sri Sangeet Mishra (sarangi – Varanasi) present a 1.5 hour workshop on North Indian classical Ragas and Talas, suitable for all levels, on the morning of Sangeet Mela 2014. 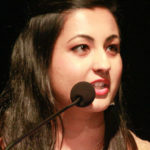 Topics presented will be tailored to the level and numbers of participants. Please email shen@sangeetmela.org to register for the workshop and provide details of your level and interests. Guided demonstration of performance of raga. 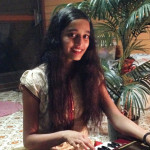 Identification of Ragas and Talas. Ragas for different seasons or times of day. 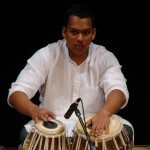 Rhythmic devices such as tihais and layakari. 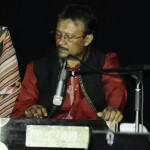 Sri Govinda Chakraborty and Sri Sangeet Mishra will also be available for private lessons in the weeks before and after Sangeet Mela 2014. 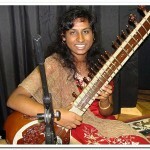 Please contact Shen on 0415106428 or shen@sangeetmela.org for more details. 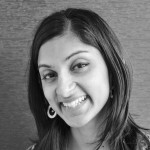 Videos of Sangeet Mela 2014 (8/1/2015)- Thanks to our volunteer videographers, Acintya and Soolaba for these fantastic videos of Sangeet Mela 2014. 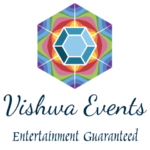 Brisbane Sangeet Mela: website coming soon! 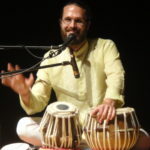 (17/4/2014)- The inaugural “Brisbane Sangeet Mela” Indian classical music and dance festival will be held at Queensland Multicultural Centre (BEMAC), 1pm-8pm Sunday 7th September as part of Cultural Diversity Week at BEMAC. More info coming very soon!